Branislav Srdanovic is a chatbot builder who uses the SnatchBot platform. Recently, he built a chatbot that calculates budgets and provides quotes for the user. It deservedly won our acclaim as 'bot of the week' and we asked him to guest post on our blog so other bot builders can benefit from the way he went about it. Many businesses that need to provide quotes to customers but don't have staff available 24/7 have problems with sales and customer service. 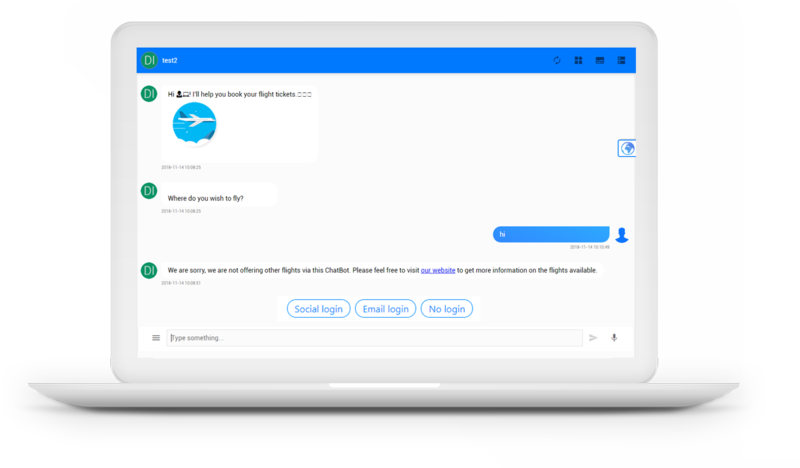 Recently, an old associate of mine, Nicholas, asked me to build a chatbot that will simplify the client onboarding process, for his web development agency called Virtualspirit. People have both positive and negative prejudice when it comes to web development. Every day we listen to digital success stories, which make us think that building websites and apps is a piece of cake. Of course, these prejudices get shattered after we start working on our first development project. Unfortunately, many companies use the current connectivity hype to overprice their services. That is why many entrepreneurs think that even the straightforward development solutions are costly. At the moment, not many developers decide to share their prices openly. As a chatbot builder, I often work with backend developers, and Nicholas's transparency is the main reason why we cooperate in the first place. No hidden costs, no penalty fees, everything is out in the open, and that is how it should be. Plain and simple. As you can see from the example of Virtualspirit, the lack of transparency in the development market can also be a big opportunity for innovative entrepreneurs. That is why Nicholas's company gave me an idea for a very convenient chatbot feature. Why don’t we add a price calculator to the customer service chatbot? An immediate quote with a price can be very helpful for clients who are in need of a developer's services. And a chatbot solution to providing around-the-clock service is relatively easy to make with the SnatchBot platform. The accuracy of the estimate depends on the questions you ask. These can be simple “Yes or No” questions, or ones that offer multiple choice. You can also use text recognition or even the NLP, but I will stick to the quick answer feature, just to keep it simple. You have probably seen it in sales and testing bots. For example, I have recently used the same formula to make the Stella HYPERLINK that checks your multiplication knowledge. Before we start the price calculation, we need to set a price variable, with [customVar Price=0]. We can also add the basic price of the service, by adding the desired sum. Every choice users make while answering the questions leads them to a separate interaction that contains a formula, which adds a certain sum to the first variable, and changes its name. In the next formula, we won’t use Price variable as our base. We will use Price1 instead, and the negative answer formulas, where users decline some of the features will add $0 to the variable. After the bot asks all the questions, it presents the full price to the user, which is the product of the last variable addition. We can quickly display it with the use of [showVar=Price10] formula. From the formula, we can see that our calculator has 10 questions and creates 10 new variables throughout the process. The interaction where we share the final price with the user should also point out the limitations of the chatbot budget calculators. Users can misunderstand some questions and get the wrong quote for their development project. We will want to avoid any misunderstanding when the first invoices arrive. That is why we need to motivate users to provide more information about their project so that we can give them a more accurate price estimate. By adding questions to the chatbot, instead of using the classic web form, we are making this exchange more personal, and it's easy with the SnatchBot platform, if the business has the staff on hand, for users to move to live chat support at any time. For users who want a more accurate estimate, we added a short form, made up of five questions. Each one is connected via webhook to Nicholas’s Google account, which means that every answer ends up in his Google Sheet, together with names and email addresses. Sounds like a marketer’s dream, doesn’t it? Platforms like Zapier and IFTTT are lifesaving when it comes to exporting data from your bot, and connecting it with other apps. These services will receive your webhooks and forward the data to the chosen app on the list, so, you don’t need to build APIs and send JSON requests. If you have chosen Zapier for this task, you can decrease the number of “Zaps” (connections), by storing users' answers into variables and sending them all at once. Unfortunately, on Zapier, only the premium account owners are able to make multistep connections. This means that you will probably need to partition the exported data in several packages. Each one of these packages will take one row in your Google Spreadsheet. With a premium account, everything is much more relaxed, you can add a chat session ID column and use it to navigate all data from one user to the same raw document. Free chatbot platforms like SnatchBot allow you to create precise budget calculation solutions, without writing a single line of code. It means that your employees won’t need to use too much of their valuable time on the phone. And it is a much better solution to this problem than building a budgeting app from scratch. People are less and less inclined to download new apps, especially for a quick quote. Plus apps are expensive to edit. It has taken me only three days to plan, develop and test this bot, which is a bargain considering the benefits it brings. Apart from the budget calculation, the Virtualspirit Bot also has live chat support, scheduling, and several other useful features. But the most significant benefit is the complete transparency that attracts only the right clients.